Legal Schnauzer: What happened to almost $40 million Alabama investors gave for a Russian lottery; did it wind up in an offshore account or maybe a Riley office building? What happened to almost $40 million Alabama investors gave for a Russian lottery; did it wind up in an offshore account or maybe a Riley office building? Alabama investors, including the late VictoryLand owner Milton McGregor lost almost $40 million on a proposed Russian-lottery scheme that Rob Riley and his gaming partner, Robert Sigler, cooked up, according to a state political insider. Also, the insider says the Riley family and associates still could face criminal prosecution in the matter. McGregor lost about $26 million, and Montgomery lawyer Tommy Gallion (and several of his friends) lost about $10 million, according to whistle blower, oppo researcher and retired attorney Jill Simpson. As we reported yesterday, Gallion says an offshore account was set up in the Canary Islands by someone connected to the missing money. Do the Rileys have almost $40 million stashed away offshore -- and is that partly why they (and their allies) concocted a bogus perjury case to keep elected Democrat Charles Todd Henderson from taking office as Jefferson County district attorney?.Henderson beat one-time Riley appointee Brandon Falls, and before you know it, Riley-stooge attorney general Luther Strange was bringing a perjury charge that kept Henderson out of office. Our investigation on those questions is continuing, but Gallion's statements, and our research, indicate the answer likely is yes. And that raises the specter of possible criminal activity related to the Riley family. For years, Tommy Gallion and Milton McGregor tracked that Russian money they gave Rob Riley and Rob Sigler. Milton lost $26 million; in one instance, he gave Rob Riley's partner, Rob Sigler, a $13- million dollar check, and he showed me the check years later when he was tracking it. Tommy's buddies gave $10 million. I knew, because Milton had shared with me, it was close to $40 Million that Rob Riley and Rob Sigler had stolen from folks from Montgomery,. Birmingham, and Tuscaloosa for their phony Russian lottery project -- with Oleg Deripaska and their Russian Amcham buddies. If I add what Tommy told me and what Milton shared, that is $36 million, so it appears Tommy is not far from the number I have written that Milton shared with me several years back -- and he asked that I see it got out. The statute of limitations has not run, if someone finds the money, as the crime is ongoing and is part of the organized crime of the Alabama Gang. I found years ago what I believe to be $5-million of it paid to an Arab man that Rob and Rob had swindled, and it was part of a claims case. I am glad to see Tommy Gallion speaking out now, as Rob Riley and Rob Sigler should not get away with stealing $36-million dollars of Alabama funds. As some of you know, I have helped see this story told and started telling about it when I first came forward in the Siegelman case. I shared this with Richard Scrushy and his lawyers in February 2007, the first time I met with them. Rob Riley had made a mention of it, which is one of the reasons I quit helping him, as I wanted no part of his stealing $40 million dollars. Cliff and I attempted to explain to the FBI what I knew, but the DOJ's Justin Shur would not agree to let me open my computer at the Montgomery FBI office, as he said he had heard I was a hacker, from an Alabama official in Washington (which I believe was Jeff Sessions). I did get Shur forced to resign over the incident, but I discovered along the way that the Alabama FBI is in Sessions' back pocket and would do nothing to Rob Riley and Rob Sigler, even though they stole $36-million in funds in a Russian lotto deal with the Russian mafia. I might add that we also knew Rob Riley and Bob Riley got nearly $1-million questionable dollars off the sheriff of Jefferson County, from taxpayer funds that they basically stole from the citizens -- and that the newly elected Democratic prosecutor (Charles Todd Henderson) was going to pursue what happened to it. That's when Henderson found himself being attacked in the press and prosecuted over a alleged perjury in a divorce matter. We believe much of the money went into the Rileys' fancy new office building in Homewood. That is pretty much par for the course of the Riley bunch. Haskell Slaughter in Birmingham, part of Gallion's group, went belly up when they would not play the crooked organized-crime bond game with kickbacks to the Riley Mafia Crime Family. The Bradley Arant firm played ball with the Rileys and made millions. That, plus all the other stories I have helped see told on this crime family, makes it clear corruption rules in the State of Alabama with the Alabama Gang. I have been tracking the Riley-Sessions Alabama Gang Political Mafia Crime Family for years and have been a victim of them a time or two. But I have never given up -- and have this time caught them in the biggest mess of espionage you can imagine, involving nuclear plants in various parts of the world, including Alabama. They are smack in the middle of doing a deal with Russian mobsters, Canadian mobsters, and Middle Eastern interests-- and Franklin Haney of Chattanooga -- on a nuclear deal that will make our world very unsafe. They are doing it with the cover of DOJ chief Jeff Sessions, a long-time associate of Sergey Kislyak, who is close to Vladimir Putin. Rob and Bob Riley are "The Excuse Kings." They seem to have an excuse for every occasion. Wonder what their excuse is for pilfering $40 million. I noticed that Tommy Gallion did not use the word "stolen," but Jill Simpson laid it out there. Good for her. I don't understand why McGregor never sued. Seems to me his estate should sue. 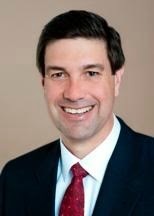 My take: Rob Riley is a common thief and Bob Riley is his accomplice. Can you imagine if a black politician was alleged to have done this? He would have been in the slammer years ago. I'm surprised someone hasn't encased Rob and Bob Riley in a "concrete suit" and tossed them to the depths of the Alabama River. Glad to see that statute of limitations does not preclude prosecution of the Riley thieves. Thanks for bringing up the Charles Todd Henderson "perjury" case in connection to this. What a travesty.